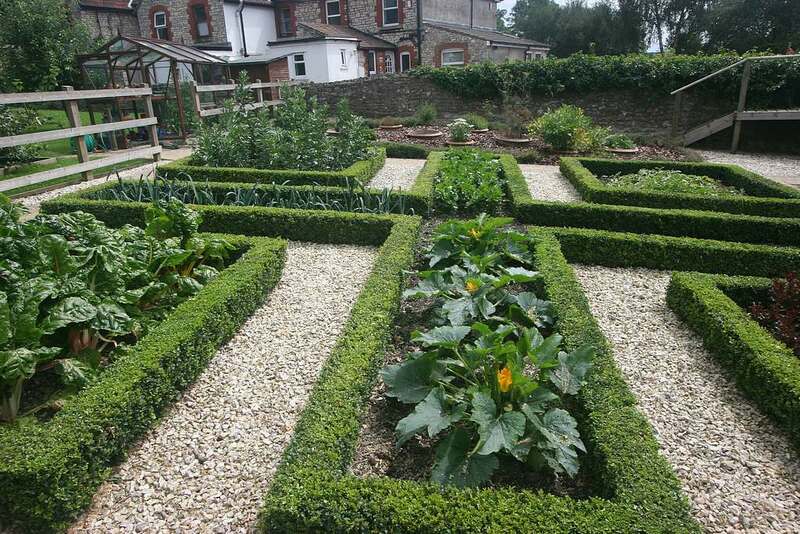 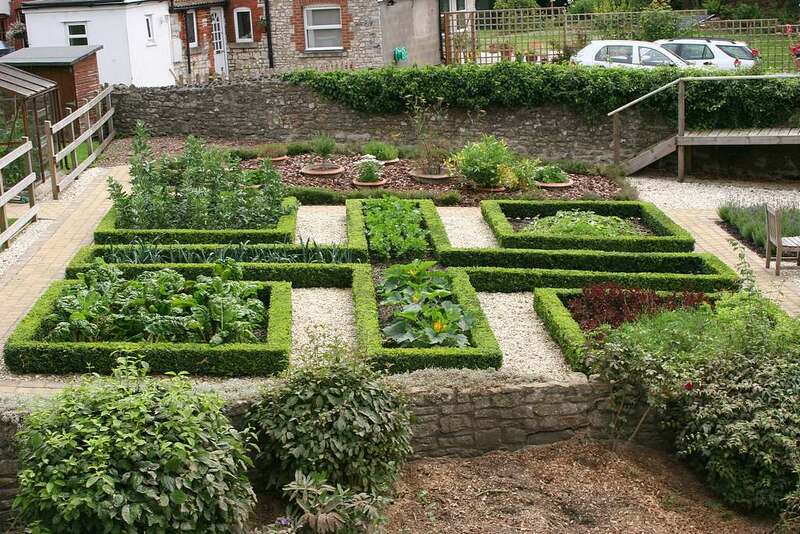 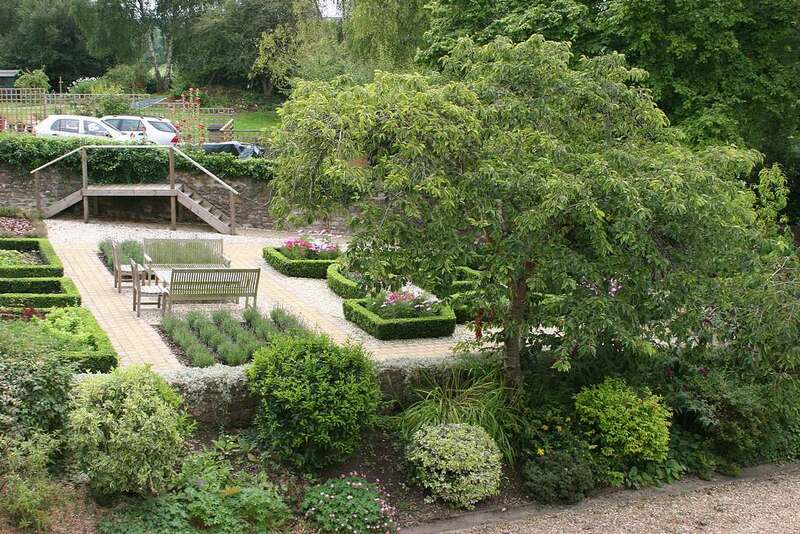 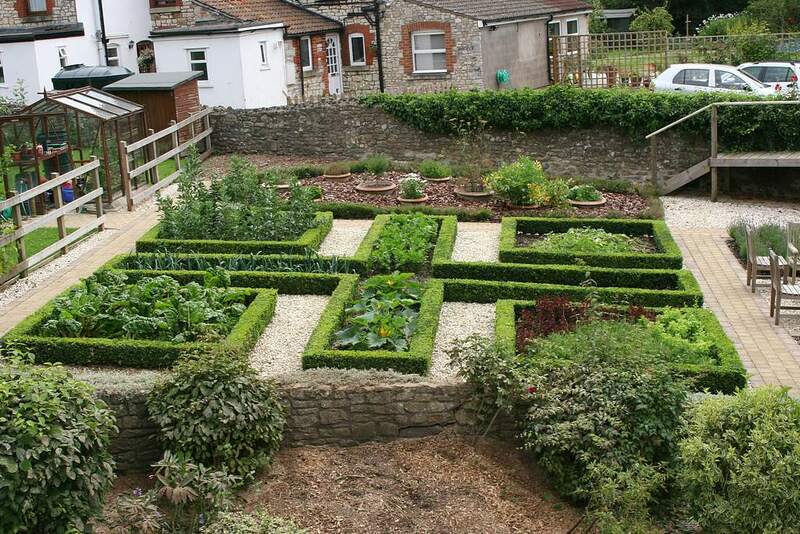 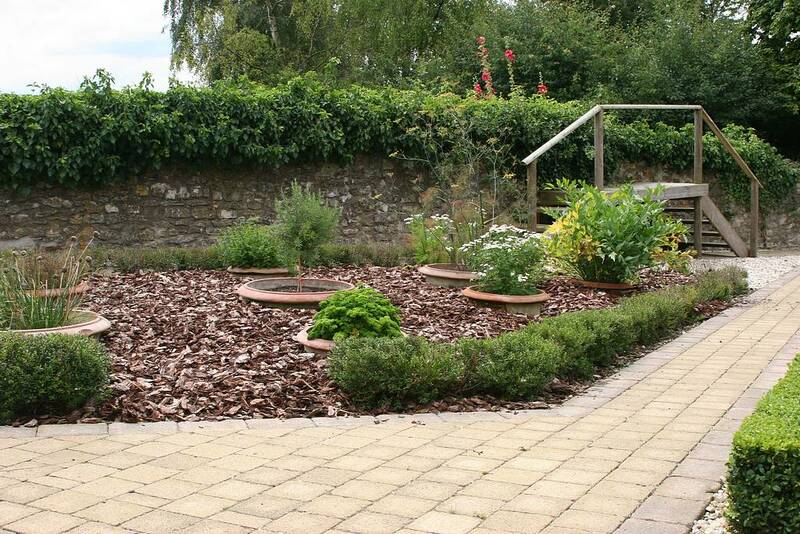 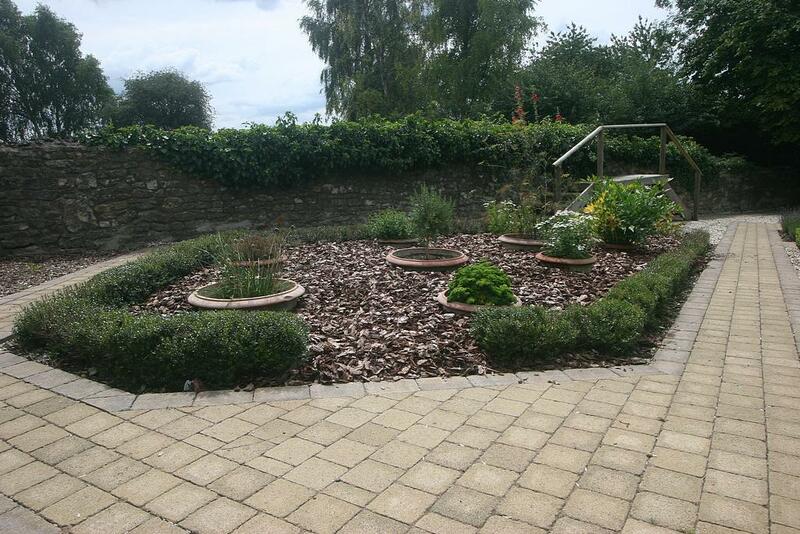 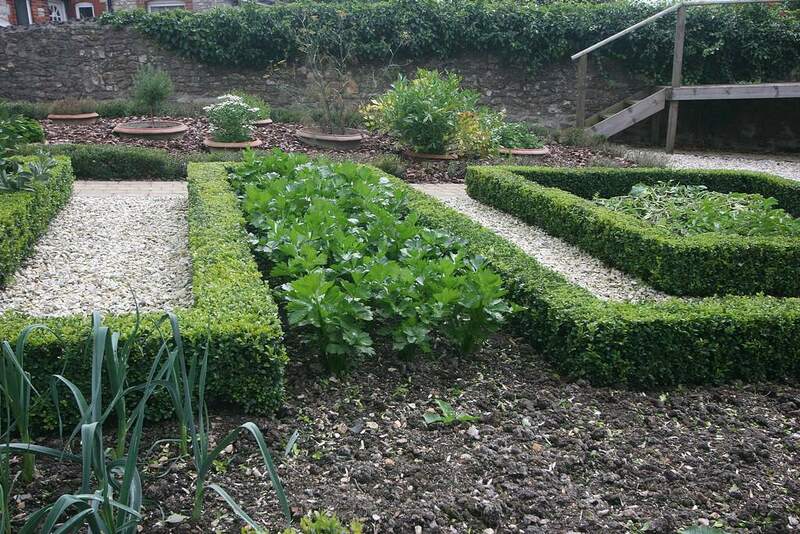 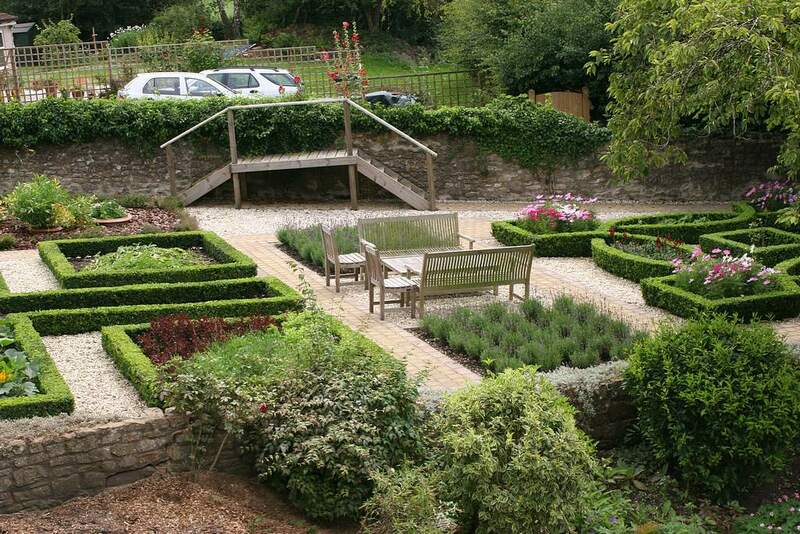 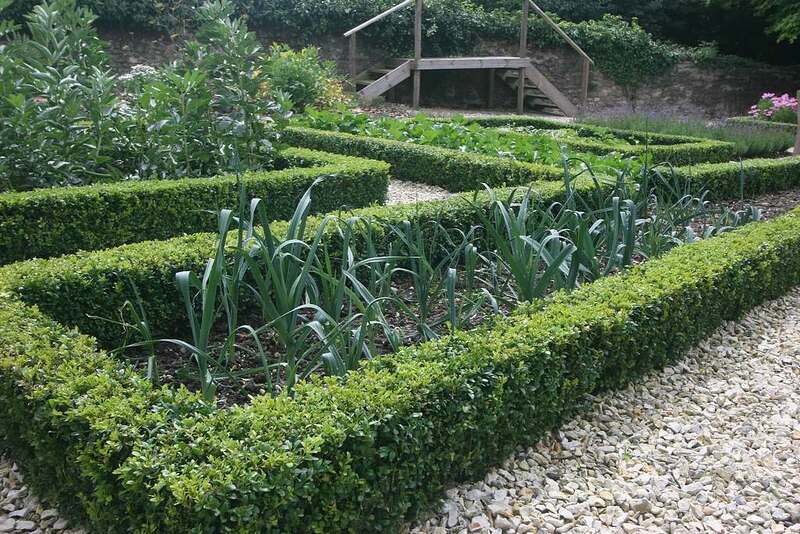 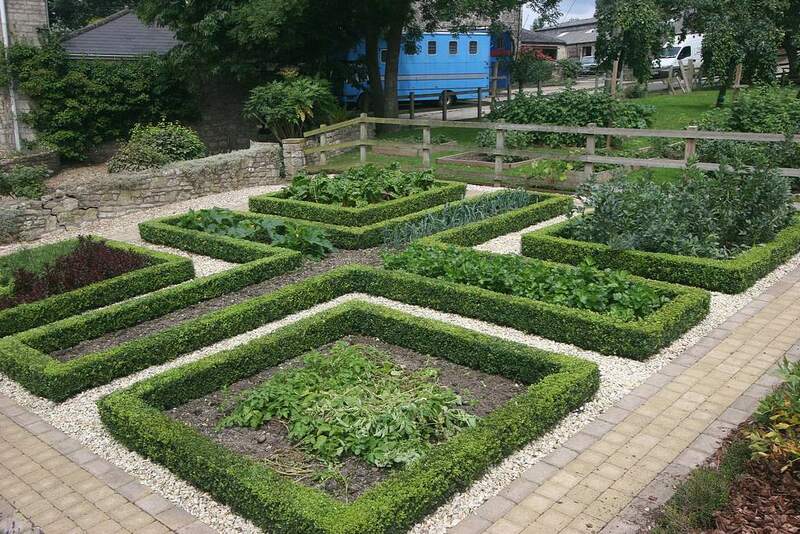 The formal gardens at Woodborough Farmhouse consist of a potager, a herb garden, a lavender garden and a knot garden. 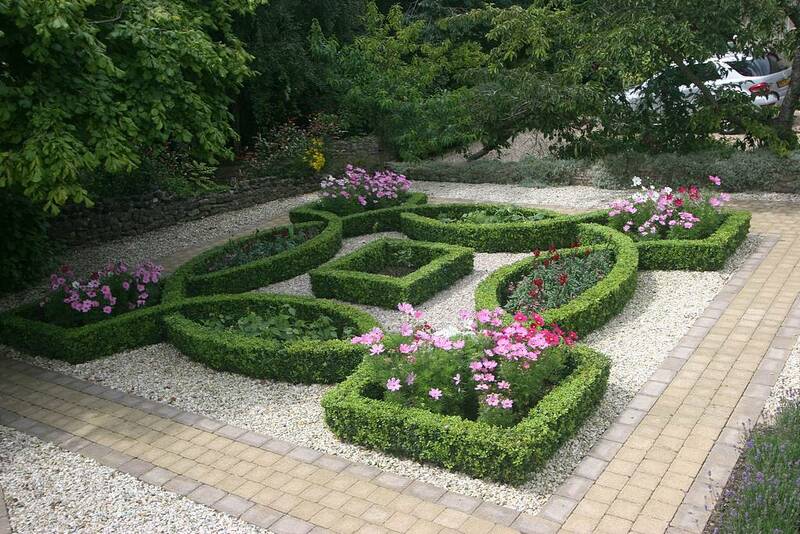 They were built in 2008 and the designs have been inspired by visits to the Chateaux Villandry (potager) and Chenonceau (herb garden) in the Loire Valley. 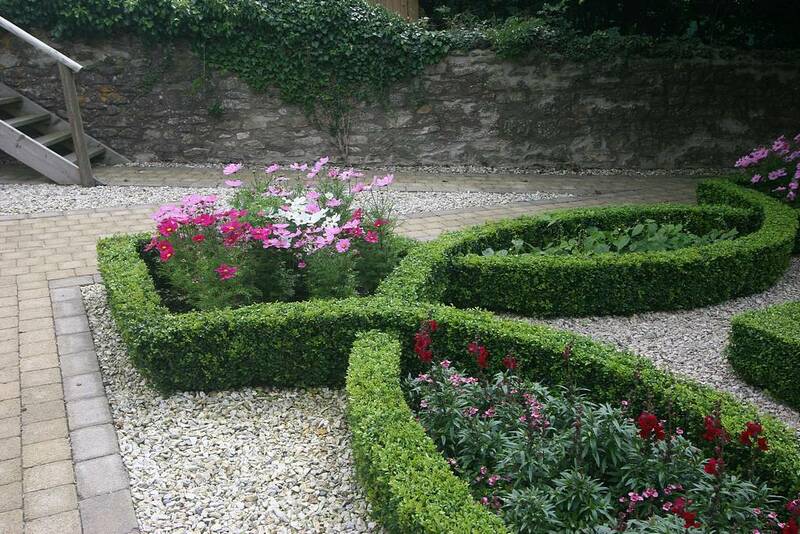 The design of the knot garden is a Celtic Cross of Cornish origin and in its centre there is a Grandpa Dickson Rose which represents the signature of the garden's designer. 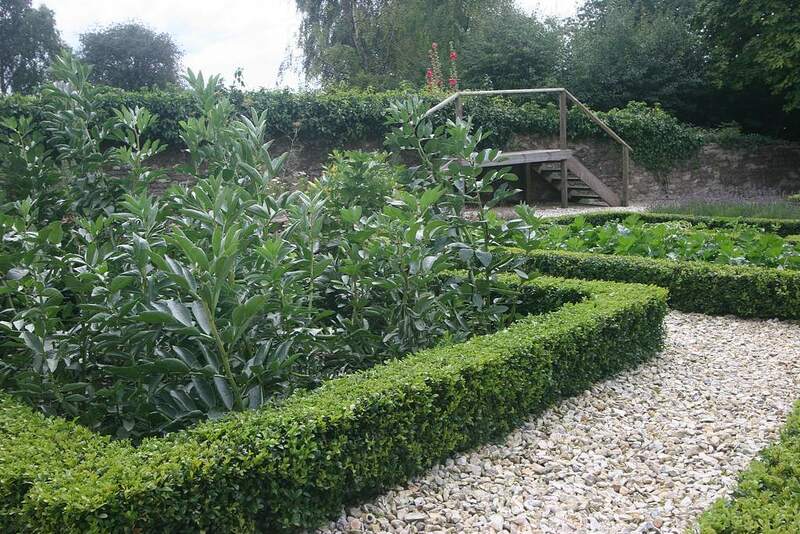 The potager and knot garden are enclosed by hedges of dwarf box (buxus sempervirens) and the herb garden is bordered by a myrtle hedge. 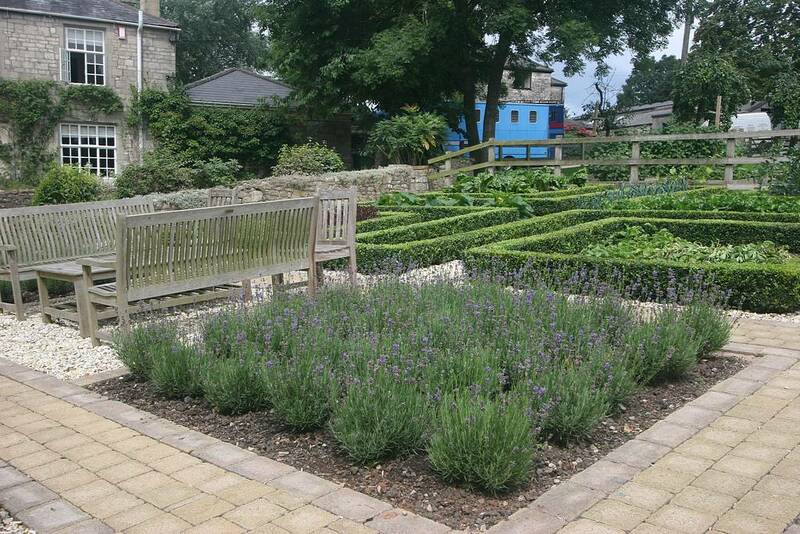 Between the potager and knot garden there is a lavender garden with a table and benches for relaxation. 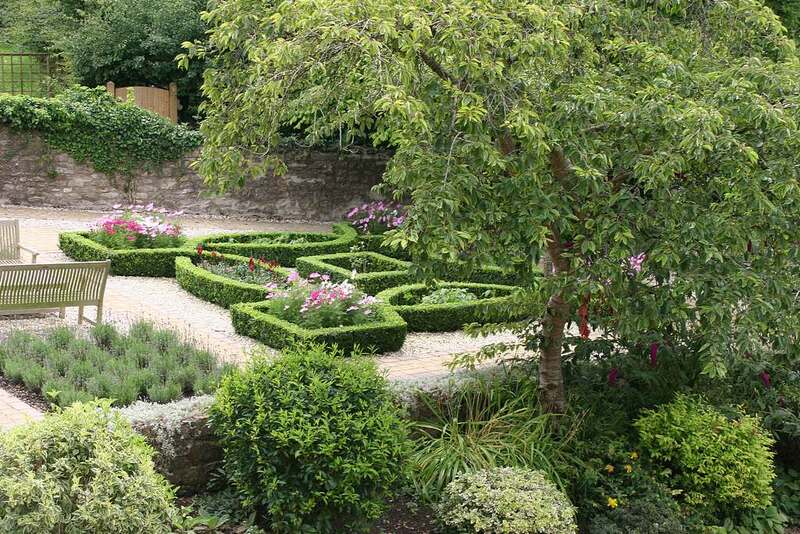 To the north of the formal garden is a fruit garden and orchard. 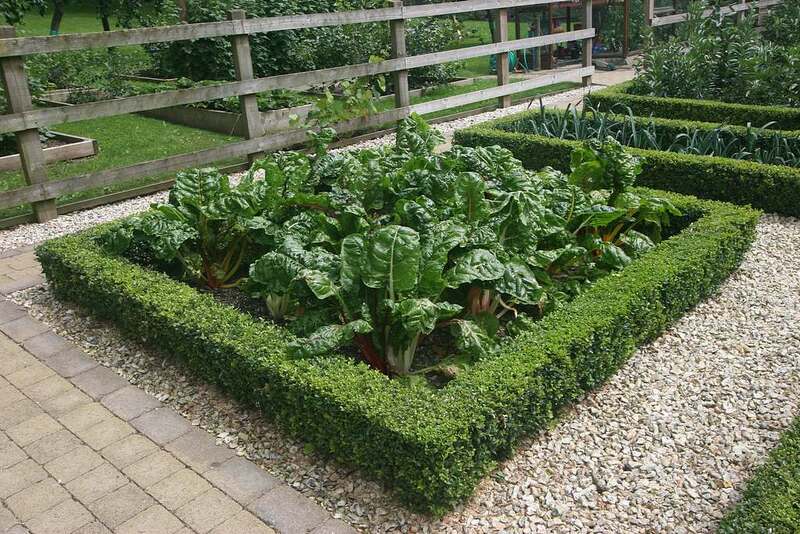 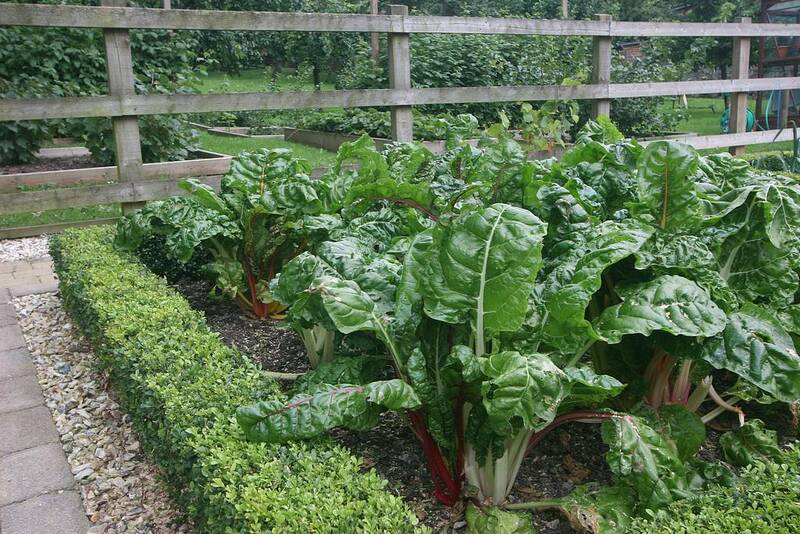 There are soft fruit beds with three varieties of strawberry, summer and autumn fruiting raspberries, black, red and white currants, blueberries, jostaberries, gooseberries, rhubarb and a vine. 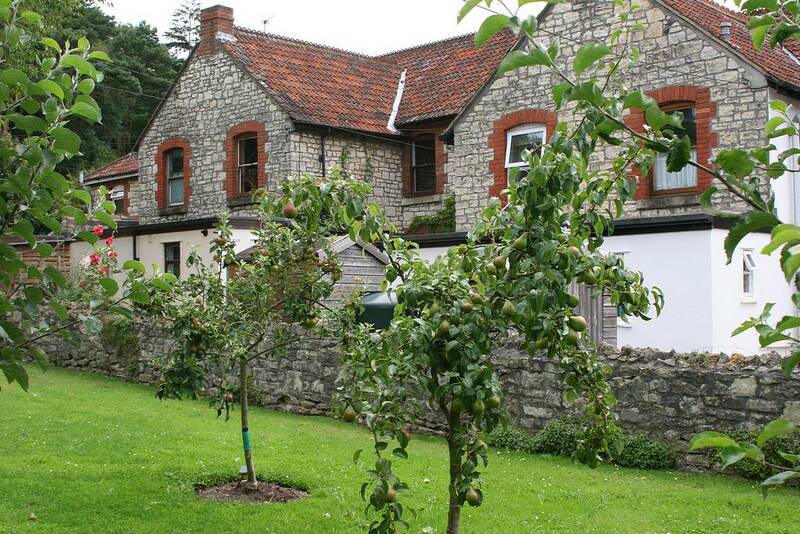 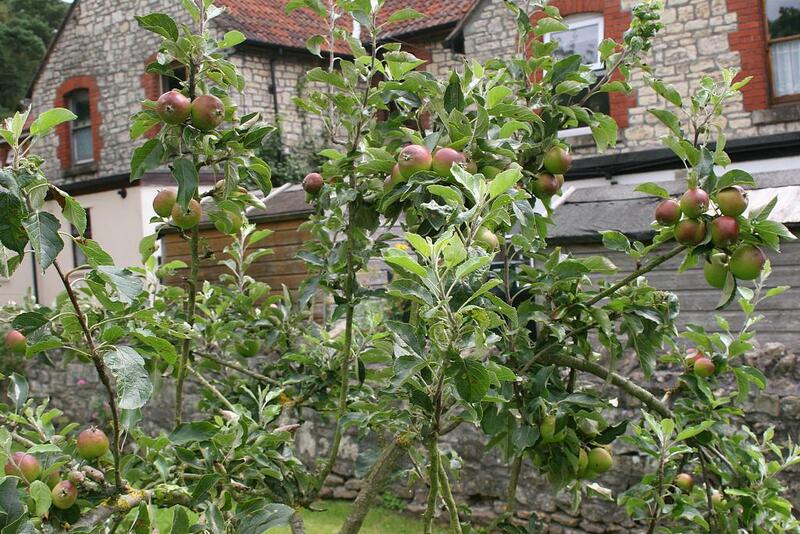 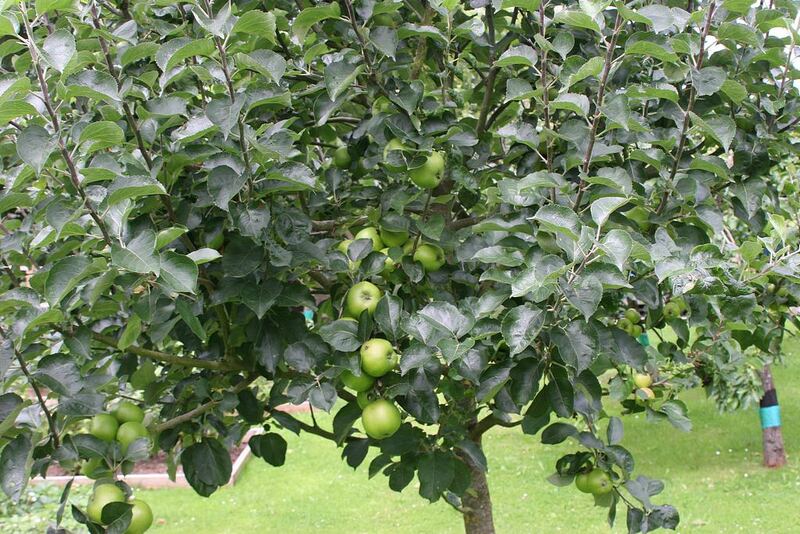 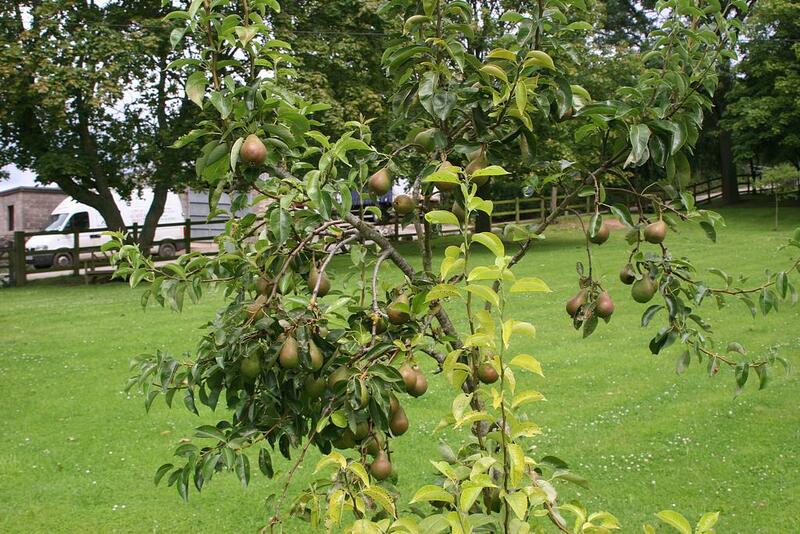 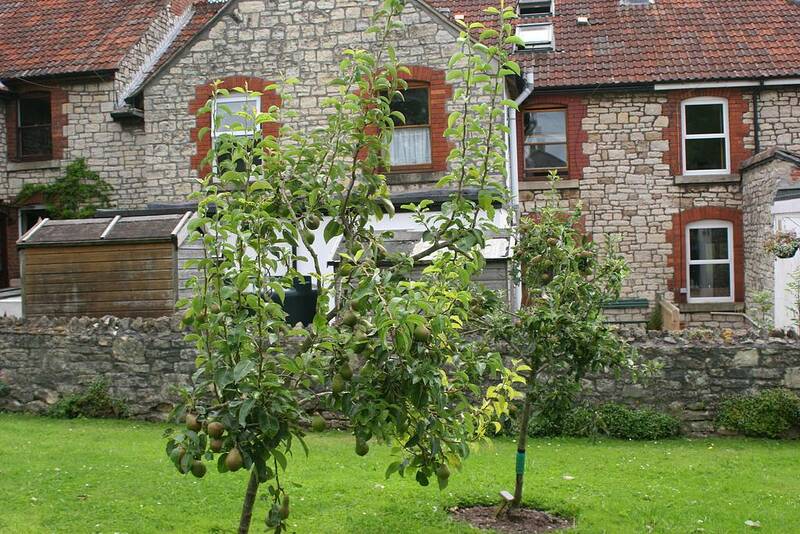 There are also several fruit trees with three varieties of apple, 2 of pear, plums, damsons and cherries.